Before setting off on a journey. P -- Petrol. (or motor fuel). Ensure you have enough for the journey. O -- Oil. Make sure your engine oil is topped up to the right level. W -- Water. Make sure that your water level is ok.
E -- Electrics. 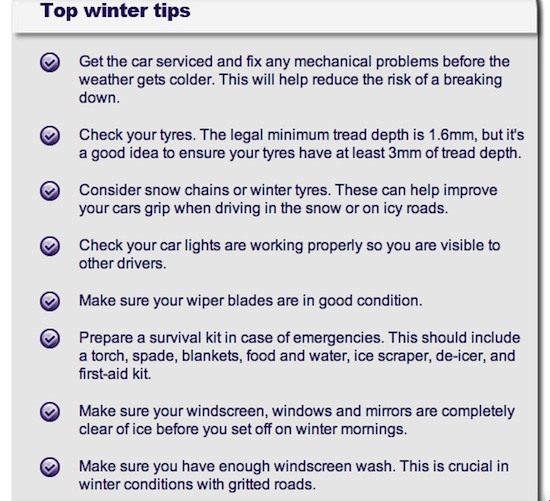 Ensure that all your bulbs, wipers and indicators are ok.
R -- Rubber. This means, your tyres. Make sure that your tyres are legal and fit for the road. Check to ensure that they have the right pressures.